S.T.R.E.S.S.O.U.T stands for “Striving to Reveal, Encourage, Succeed and Strengthen Others by Uniting Together.” Based out of Houston, Texas, we are a nonprofit organization that promotes unity among women and girls that foster positive thinking and self-awareness. We provide women with valuable information on various topics such as education, finance, and health. We have incorporated a re-entry program to help reduce the recidivism rate among women. We have partnered with This Woman's Work to implement a mentoring program for girls. Please subscribe to our mailing list below to receive information on our initiatives. 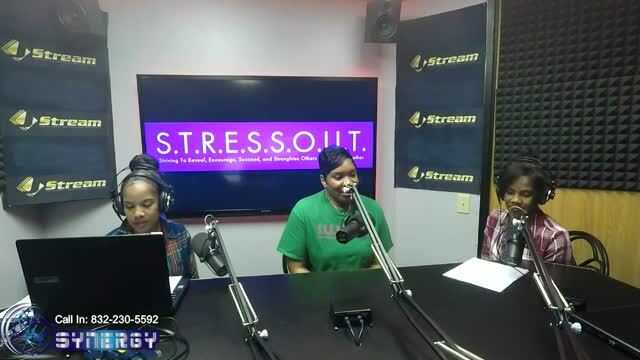 S.T.R.E.S.S.O.U.T is an educational and empowerment organization for women and girls. Our work is about inspiring and assisting women in undeserved areas to become knowledgeable in areas of financial literacy, education, and child development. We strive to uplift communities by empowering incarcerated women re-entering their communities with skills, information, and services they need to become more self-reliant in their way of living.